"Today, President Trump is proud to have brought much of the federal government to a halt, just to carry out a campaign promise that distracts from the real needs of Americans. But also today, I’m proud that we live in a state where Oregonians have stood up for their values and sent a clear message that ours is a welcoming and inclusive state, a place where all Oregonians have access to quality, affordable healthcare, and where environmental stewardship and economic development work hand-in-hand. As we enter the holiday season, I call on our incoming congressional leaders to look ahead and counterbalance the political games from the Trump Administration that have dominated 2018. 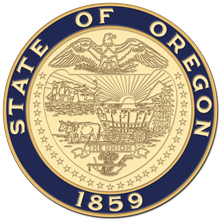 "Oregon is focused on continuing to deliver essential services to our families, and is evaluating resources that could be used if necessary. Tentatively, the state calculates that if the shutdown lasts two to three weeks, the cash flow impacts on the state can be managed. In the meantime, the Department of Administrative Services will continue to work with state agencies to identify additional gaps and develop contingency plans for a longer gap in funding."